Event managing a wedding most weekends I get to see and hear many bands and DJ’s. it is hard to read a wedding crowd, but I must mention Ben http://www.bennyguitarsmith.com/ and his band from Saturday night. 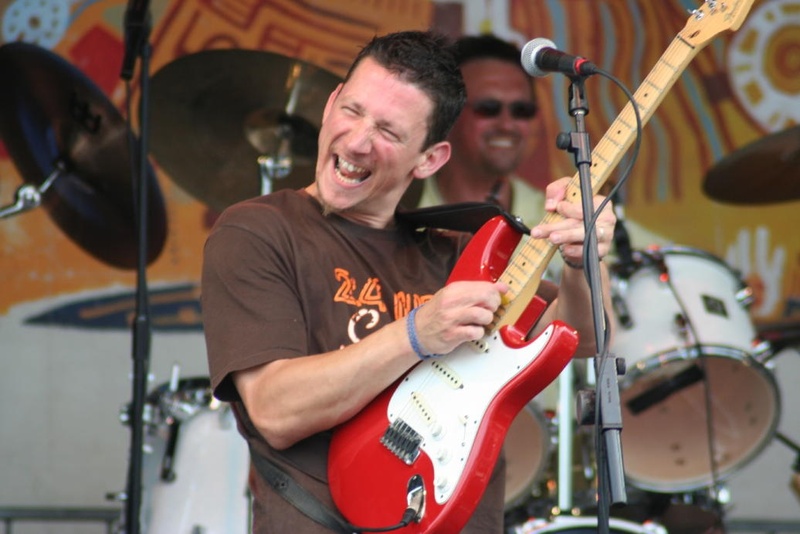 During the welcome drinks reception Ben played acoustic guitar with a mellow feel, but he saved the best till last, with a full band line up he had the crowd dancing all night! The atmosphere was great, even the bar staff were jigging away, especially our Jo! No one noticed the thunderstorm outside! Thanks Ben! Last weekend saw KF team back at Lavendar Farm for Michelle and Andy’s weddng, this time in a marquee with a weather forecast threatening to wash us all away! 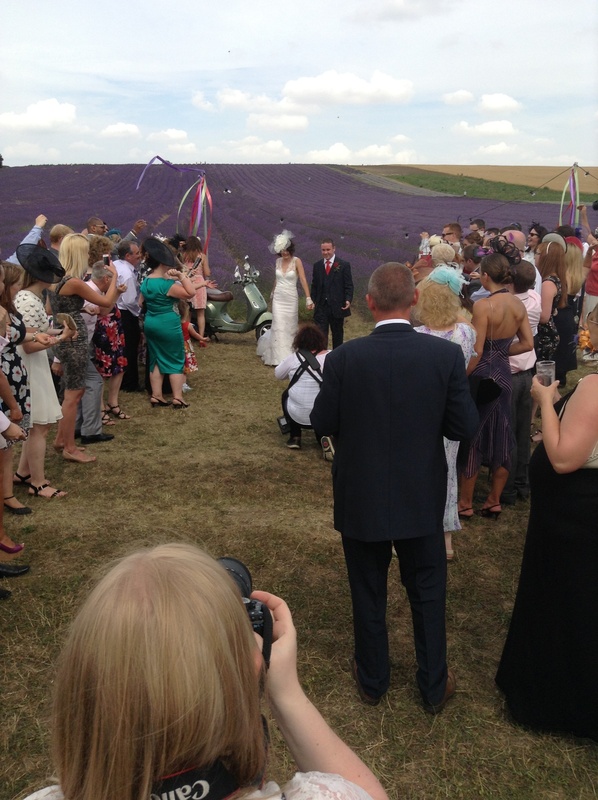 Luckily it held off for the bride & groom to come through the Lavendar on their Vespa! Dan, John and MJ, back in the kitchen, we missed John last week, although as Dan said Stuart is very good! Wind up! Beef carved at the tables by the guests, always a great atmosphere lifter, some slices look like door stops! The rain held off luckily until the evening, but with the fantastic Ben http://www.bennyguitarsmith.com and his band rocking us through, no one realised the thunderstorms and torrential rain outside. Except for John who cooked up a Paella in the small marquee outside, and our lovely Phil who was running between the two! Well done guys! 48hrs@Kingfisher continued . . . So last weekend was a busy one for the KF team! With two weddings, both set in Tipi tents, supplied by Tipis4hire, both having a champagne canapé reception followed by a barbecue! North Hill Farm, overlooking the stunning countryside of the Chess Valley in Hertfordshire. Dan and I went to the beautiful Lavender Farm just outside of Hitchin. 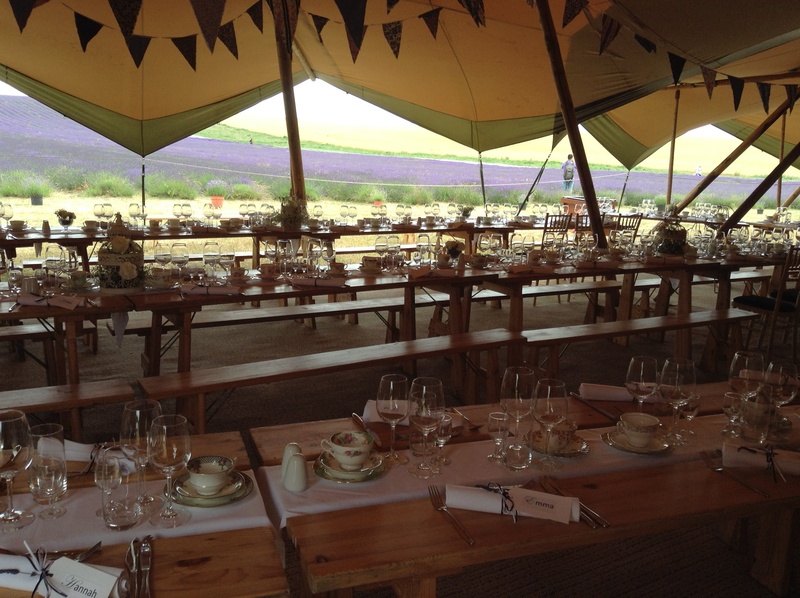 Reuben and Jemima and their 100 guests had a beautiful reception with the lavender in full bloom as their view! The Spitfire fly past was a real treat for us all! Followed by Eton Mess with Blossom Honey, cheeseboards and port, Yum! 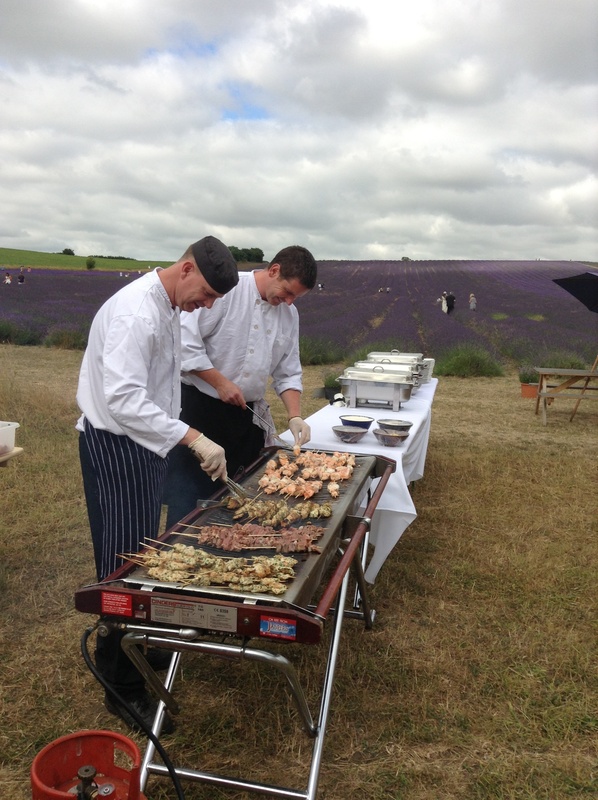 Both Dan and Stuart melted over the barby but cooked it all to perfection as always, well done guys! Tipis, Barbeques & Sunshine! The perfect mix! Lee and I would like to say an immense thank you to you both and all the staff who helped at our wedding last Friday. You really made the day so very special and we cant thank you enough for the wonderful food but also how calming you were. We really didn’t have to think about anything and were able to relax fully. So many people have commented and have asked us to pass on their compliments to you on the delicious canapés and buffet! We are sorry we did not get the opportunity to thank you personally before you left or to see you when you came to collect everything after the wedding. We cant believe it is a week ago tomorrow! So after the main course what do you give your guests? Hard to decide between chocolate or something lighter? We have the perfect solution, a trio of desserts, then there is definately something for everyone! Pippa & Lee decided on seasonal berry mini meringue with clotted cream, dark chocolate and grand marnier mousse served in a shot glass and vanilla pannacotta with rhubarb compote! Delicious! We have many trio ideas and selections to choose from, so why just have one dessert? When you can have 3! 48hrs @ Kingfisher continued . . . So summer has finally arrived, now we are melting instead of freezing in the marquees! 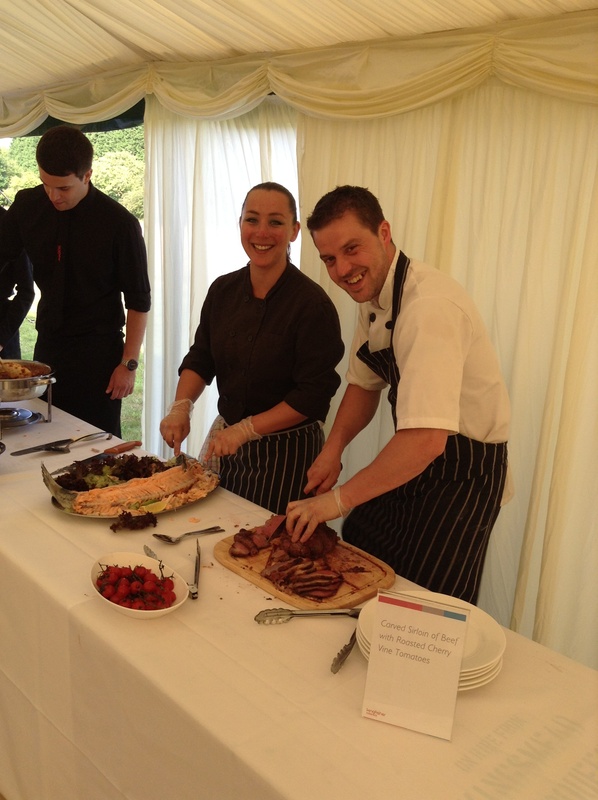 We spent a beautiful Friday with Pippa and Lee at their parents house in Chipperfield, marquee wedding for 100, canapés and champagne reception, fork buffet of Sirloin of Beef served with roasted vine cherry tomatoes and whole Poached Salmon with basil hollandaise. The food looked amazing, it was the perfect menu for a warm summers evening, although when we finalised the menu with the Vigor family back in February who could of predicted just how perfect it was going to be! We wish them all the happiness for their future and thank them for letting us be part of their special day! 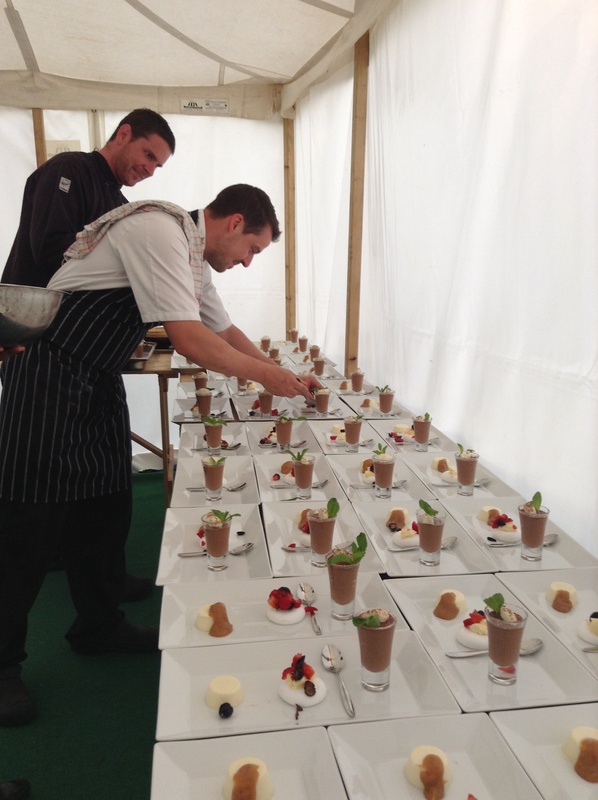 Both chefs and front of house worked hard in the heat to make it a success, well done all!